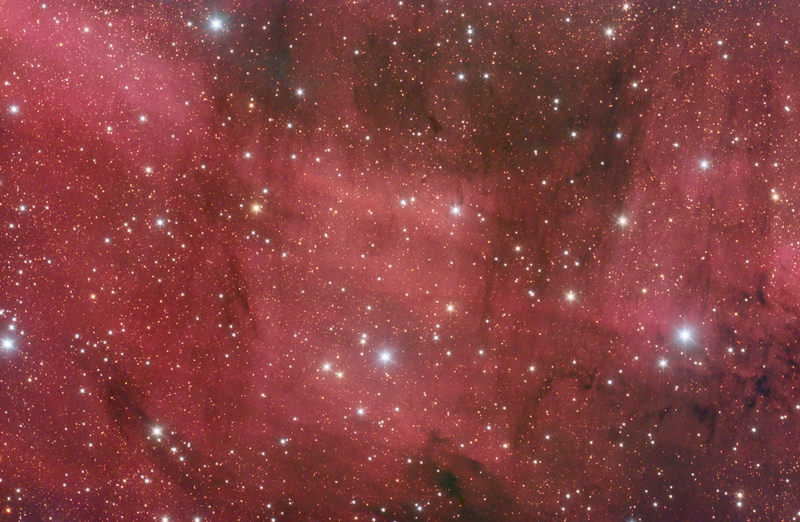 IC 5068 is an emission nebula in the constelation of Cygnus located just below the complex formed by the North American and Pelican Nebulae. It is beaultifully crossed by dark thin clouds of dust, which give it a nice 3-D effect. The bright star on the middle bottom is HP 102885, a 7.3 magniude star with B-V -0.09.